As they say, a blog without photographs is simply boring. Here is a picture of a single-rack HP Oracle Database Machine. 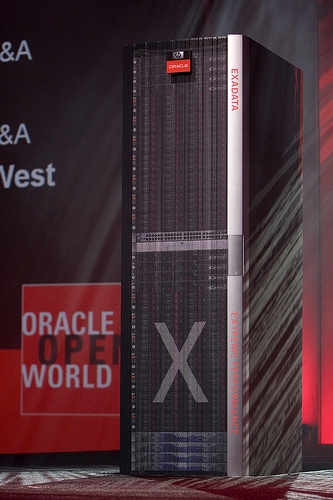 It is stuffed with 8 nodes for Real Application Clusters and 14 Oracle Exadata Storage Servers with 168 3.5″ SAS hard drives. My lab work on a SAS-version of one just like this yields 13.6 GB/s throughput for table scans with offloaded filtration and column projection. 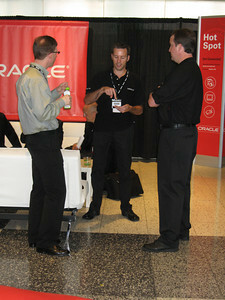 The next photo is a shot of (from the left) Mike Hallas, Greg Rahn and myself in the Moscone North Demo of the HP Oracle Database Machine. 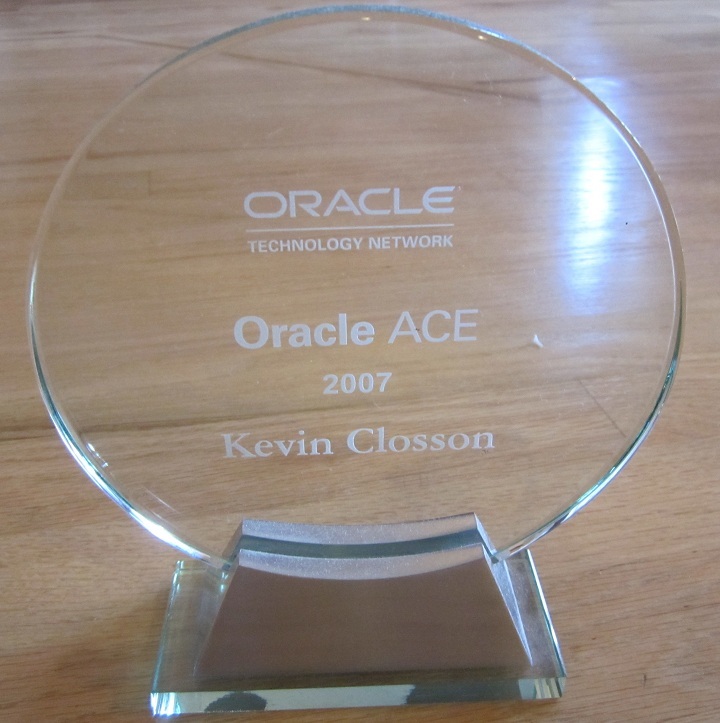 Mike and Greg are in the Oracle Real-World Performance Group. Great guys! Real Throughput or Effective Throughput? Mike worked (jointly with Bob Carlin) on the latest scale-out Proof of Concept that drove a mulit-rack HP Oracle Database Machine to 70 GB/s scanning tables with 4.28:1 compression—or in terms used more commonly by The Competition™—299.6 GB/s. Of course 300 GB/s is the effective scan rate, but be aware that The Competition™ often times expresses their throughput using their effective throughput. I don’t play that game. I’ll say if it is throughput or effective throughput. Wordy, I know, but I’m not as short-winded as The Competition™ it seems.